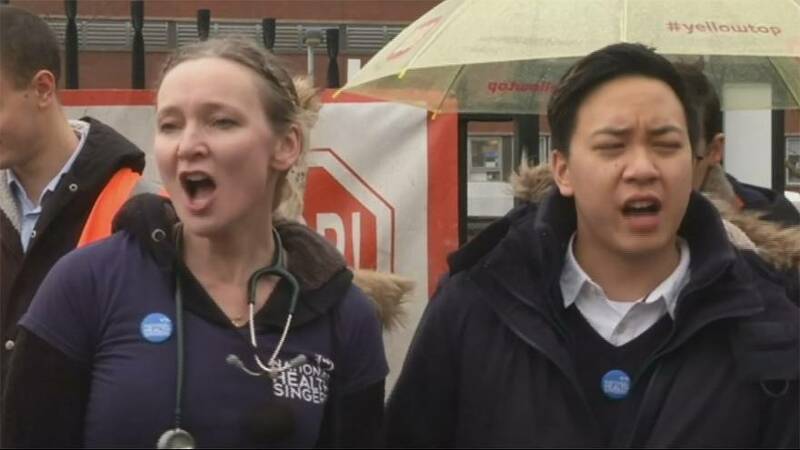 Junior doctors in England broke into song during a strike over pay. They are today (Thursday, March 10) continuing their 48-hour walkout following the imposition of a new contract by the British health minister in February. The main sticking point is over weekend pay and whether Saturdays should be classed as normal working days. Junior doctors are currently paid a premium at weekend, reports Reuters.